Summary: Unlike many girls of her time, Emily Warren enjoyed studying math and science. When she married Washington Roebling, she insisted on joining him on his travels through Europe as he sought ideas to build a bridge from Brooklyn to Manhattan. Construction began in 1870, with caissons being sunk into the river bottom. Many workers got sick with “caisson fever” from working inside the hot, damp structure, and Washington was afflicted in 1872. Unable to return to work, he began to rely on Emily to communicate his ideas to the construction workers at the bridge. 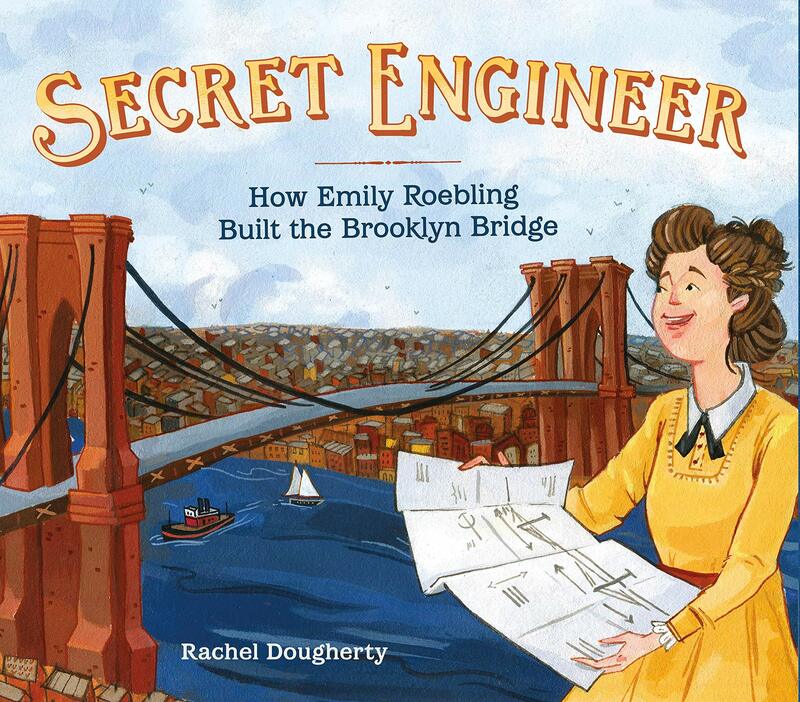 Eventually, Emily taught herself bridge engineering and began to feel confident enough to add her own ideas. A week before the opening of the Brooklyn Bridge in 1883, Emily assuaged people’s concerns about its stability by taking the first trip across in an open carriage. Crowds on both sides of the river celebrated the opening on May 24, “never even knowing about the contributions of an insistent woman named Emily Roebling.” Includes additional information about Emily, a glossary, and a list of additional resources. Photos of the Brooklyn Bridge appear on the endpapers. 40 pages; grades 2-5. Pros: An inspiring story of a little-known woman who educated herself to be able to play a key role in one of the great engineering feats of her day. Cons: I was curious about caisson fever and Washington’s fate, but there was no information about that.